Your day is set. Your routes are optimized. Your crews are cruising through the work. Then before you know it your fine-tuned operations gets a last-minute-cancellation wrench thrown into it. If you run a field service business you’ve likely experienced this problem. To a certain extent, it’s a part of the job but there are certain things you can do to prevent these cogs-in-your-wheel to the best of your ability. 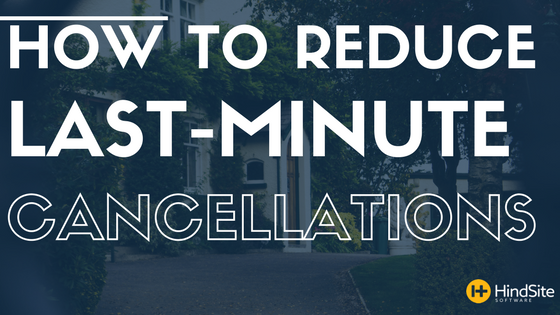 The most effective way to prevent cancellations is touching base with your customers in advance about their appointment. This gives them the necessary heads up to either prepare or reschedule - if required. The three main ways of doing this are phone calls, emails and text. When I sat down to write this I didn’t intend to promote our product and its features but email reminders don’t make much sense if they’re not automated through some sort of field service software like HindSite. Once it’s properly implemented into your operations, the software allows you to notify customers without having to do a thing - saving you time and removing the possibility of human error. By using appointment times on your schedule and customers’ contact information it streamlines the entire process. And lastly, you have complete control of when and how often you send them. This is a friendly reminder of your upcoming appointment with [company name]. Please feel free to contact us if you have any questions, concerns or scheduling conflicts. You can reach us by emailing [relevant email address] or by calling [relevant phone number]. Customer History: By keeping a record of each customer’s history from the work performed to issues occurred to past appointment dates and time, you’re able to accommodate to each customer - customizing appointment times so they work with and not against their schedule. Having a history of your relationship with each customer has a list of benefits but they all boil down to the fact that they give you the ability to understand, meet and even exceed their needs and expectations. Establishing mutual respect through customer service: There’ll always be a certain amount of cancellations, there’s no way around it, people get busy and schedules change. But if you show a willingness to work with the customer, adapt when necessary to meet their needs and provide outstanding customer service, you’ll inevitably gain and grow a mutual respect. And because they respect you and your time, customers will be much less likely to pull the rug out from under you at the last minute unless it’s an uncontrollable circumstance.